Our range of products include non woven d cut bag. 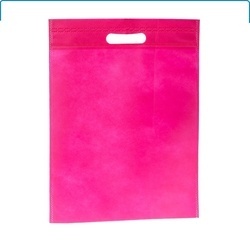 We provide a wide assortment of Non Woven Dcut Bag, which is extensively used for packaging purposes. Our range is manufactured with supreme quality raw material and gives complete protection to the packaged product. These are available in various colors and sizes, according to the definite requirements of our customers.